Available now on PC, Xbox One, PS4 & Nintendo Switch. Another year another Fifa, Is it worth the upgrade? Every year we are put through the argument of which football game will be best for the year between Fifa and Pro Evolution Soccer? PES has always been thought of as the better football game with it’s gameplay while Fifa owns all the licences which keep it out of reach, this year however I think EA have cracked it and pulled ahead even further because the actual football feels so much better, more realistic and immersive! 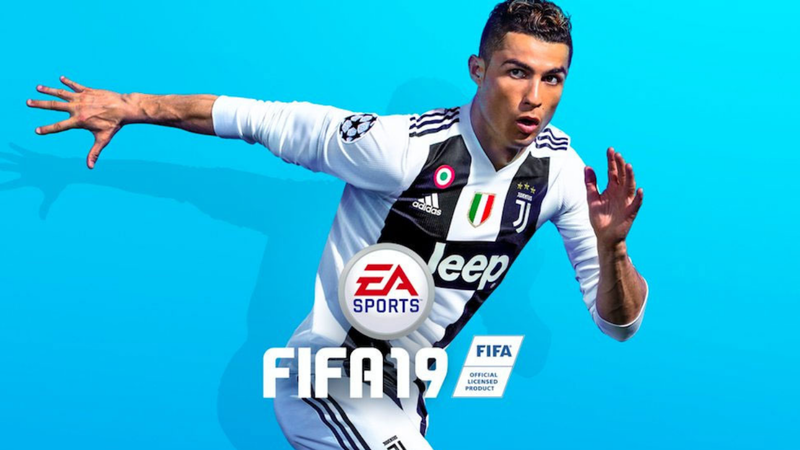 The main addition to Fifa 19 was advertised as the inclusion of the Champions League licence, but there is definitely improvement in the way the game actually plays now. Graphically the game looks brilliant as does PES this year but Fifa takes the crown for it with all the licenced kits, players, teams and stadiums as well as being presented so much better than the outdated layout of Pro Evo. Players are insanely realistic and top players such as Pogba and Ronaldo have their own trademark running style, well Pogba’s walking style would be more appropriate I guess! Players also seem to have improved in the detail they have throughout the match, sweat can clearly be seen dripping down their faces, if you didn’t already know it was a game sometimes you could mistake it for the real thing! Fifa’s licences are something that Pro Evo will never get near, the detail put into Fifa is head and shoulders above it’s competition. As well as graphical improvements there is even more stadiums, with an impressive amount already in Fifa 18 there has been even more added which is welcome addition! The new stadiums all feel different and make a nice change from using the same ones as in Fifa 18. Usual stadiums like Old Trafford still look stunning but then so does the Wolves home ground Molineux which is also added for this year, EA also somehow finishing the building of Tottenham’s new stadium before it’s even finished in real life giving Spurs fans to the chance to use it in-game. The fans in all the stadiums have plenty of detail and are very individual complete with kits and flags, long gone are the days of cardboard pop-up fans! Looking around the stadiums you will also notice all the security personnel around the sides of the pitch, camera men that follow the players with their cameras and even ball boy’s that pick the ball up and through it back to the player coming over to collect it. With this years addition adding Champions League football it is expected that there will be a fair amount of content added to the game and there certainly has been! The new commentary team which features both Lee Dixon and Derek Rae is a welcome addition. The commentary isn’t perfect at times but it is leaps and bounds ahead of PES, the commentators themselves are very bearable and sound realistic it’s just when the lines don’t fit the action, finding your goalkeeper making a pretty routine stop will have the commentators saying it was a world class save and they have no idea how he even made it! The addition of the Champions League licence really has been a big win and taking from Konami and PES is only strengthening Fifa’s place at the top of the Football game league! The Champions League Stadiums are full of atmosphere showing off one of footballs biggest occasions, fans use authentic chants. The Journey featuring Alex Hunter is back this year and also has the Champions League implementation in the mode. The Journey still features great voice acting, the one shame for me comes in career mode when negotiating for contracts and transfers. The new system with the cut-scene from last year is definitely a great way to liven up what is normally a pretty boring tick box exercise exercise but it’s a real shame they haven’t added some voice acting to the whole experience, reading text while the characters mouths are moving really takes away from the immersion. This years Journey also features many different decisions that you will need to make that will affect the way the game plays out. Apart from Alex there is also the chance to control both his sister Kim and best mate Danny Williams, the setup has all three different stories on the go at the same time and you will move between the three with plenty of tough and important choices along the way. Most modes this year are the same with career mode basically untouched just with updated transfers, EA themselves said in a statement before launch most of the time and effort went into adding the Champions League licence which the career mode will majorly benefit from anyway. The career mode could probably do with a bit of work as it is starting to show it’s age and does feel very much the same every year! Things are still missing and some inaccuracies are there with things like the transfer window not shutting when it does in real life which takes away from the realism but the extra time to get payers in does help! Career mode is a great mode to start with for new players and being able to buy and sell players to get the team you want is great fun, building a team from the bottom of the league and turning them into champions is far from easy if you set the difficulty high enough. Difficulty levels are something that Fifa also has a far few options with and most will find there is enough options there to get things just right, it’s good to have a challenge but it’s not to hard that it isn’t fun! Multiplayer is a section that EA have worked on and added a few different things, rather than just the normal exhibition matches there has been a few new modes added. The new survival mode is great fun, for every goal scored that team will lose a player so you basically get punished for scoring but winning with few players left on the pitch really adds to the bragging rights after the match! Some of the other modes are headers and volleys which is pretty self explanatory and also no rules mode, basically disabling fouls, bookings and off-sides making everything all about the fun. The weird decision from EA is to only allow these new modes in offline local play, why these aren’t active online is a little confusing to say the least! Shooting has another option, double tapping the shoot button and getting it timed right can produce a perfect shot! Fifa Ultimate Team is obviously also part of Fifa 19 as would be expected for one of the games most popular modes. This year EA have added something new to the FUT experience called Division Rivals, this is the replacement for the Online Seasons mode and with it gives players a shorter route into qualifying for the FUT Champions weekend event. FUT uses the same sort of draw that Destiny 2 does with it’s daily and weekly challenges always pulling you back in to earn more and more credits to spend on your ever improving FUT team. Back to the actual way the game handles and for most this will be the most important thing. Players all have their own strengths and weaknesses and it really does make a difference to the way each player handles. I never thought I would do a career with Man Utd and want to actually keep hold of Fellani but with his sheer strength he can boss midfield and win headers that others wouldn’t get anywhere near! Speedy players are also less important this year as it seems to be pretty hard to actually pull away from a defender unless the through ball really is that good. I constantly found myself with players like Marcus Rashford who is extremely quick, having to turn back and look for a pass as the defender chasing me down finally getting close enough to nudge me off the ball before I had even got to my potential one on one with the goalkeeper. The passing this year is also more challenging with it being less laser guided and miss control being slightly more common when receiving the ball making the whole experience much more realistic! Fifa 19 is a worthy upgrade again this year, the Uefa Champions League addition makes a huge improvement and adds so much content to what was already the clear leader when it comes to authenticity. This years game also adds realism to the gameplay and it’s slowly every year getting closer and closer to PES, some may even feel that it has finally got there and took the gameplay crown! FUT is still one of the best modes and will keep players addicted for the year until the next one comes out, daily and weekly challenges will constantly have players coming back for more all the time. Graphically the game looks amazing, the sheer amount of detail that goes into Fifa every year is so impressive and I’m beginning to wonder what else they can add. I feel this year Fifa is clearly king again and with PES losing the Champions League to Fifa, it can be classed as a six pointer so Pro Evo will really need to pull something out of the bag to even get close next year especially if Fifa improve the gameplay even further! Presentation of the whole game is fantastic, looks and feels great to play. Career mode needs an overhaul to make things feel new and fresh rather than the same thing every year. Forza Horizon 4 Available Now Also Includes With Microsoft Game Pass Plus Cheap Place To Buy Advice!